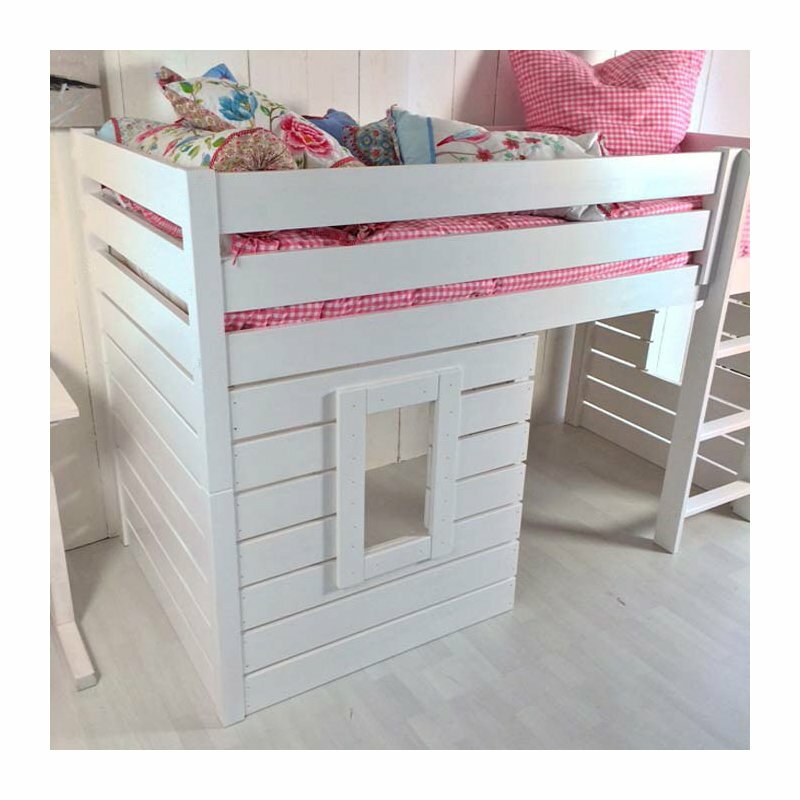 Loft bed - Cottage Bed BEACH, white including 3 panels under the bed. 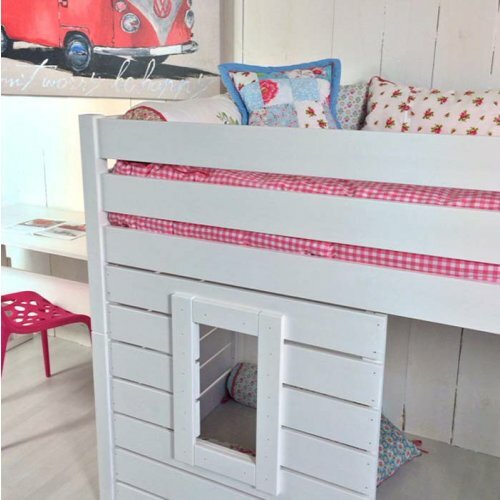 Convertible into single bed - for guys and girls! 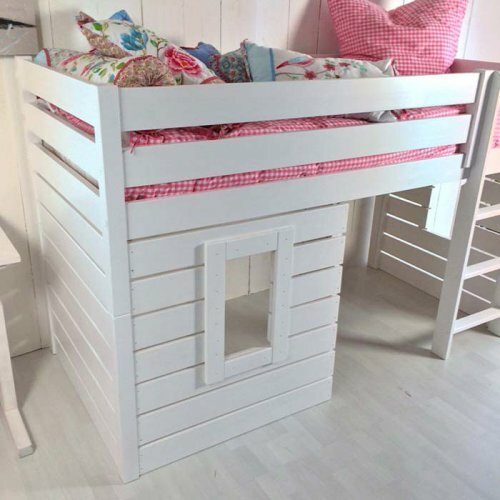 Our new loft bed BEACH is robust, stable and above all convertible! 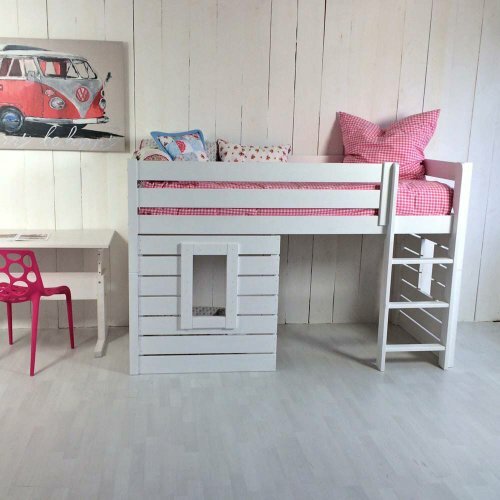 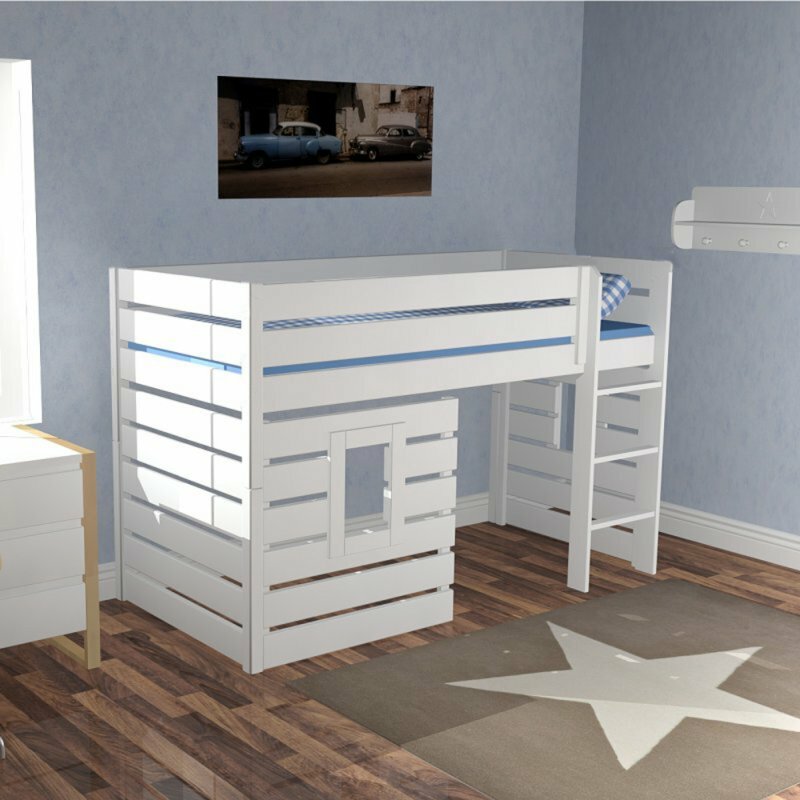 The loft bed is a dream in white and is your child not only give a wonderful sleep, but also be fun. 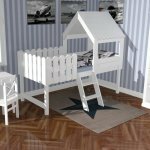 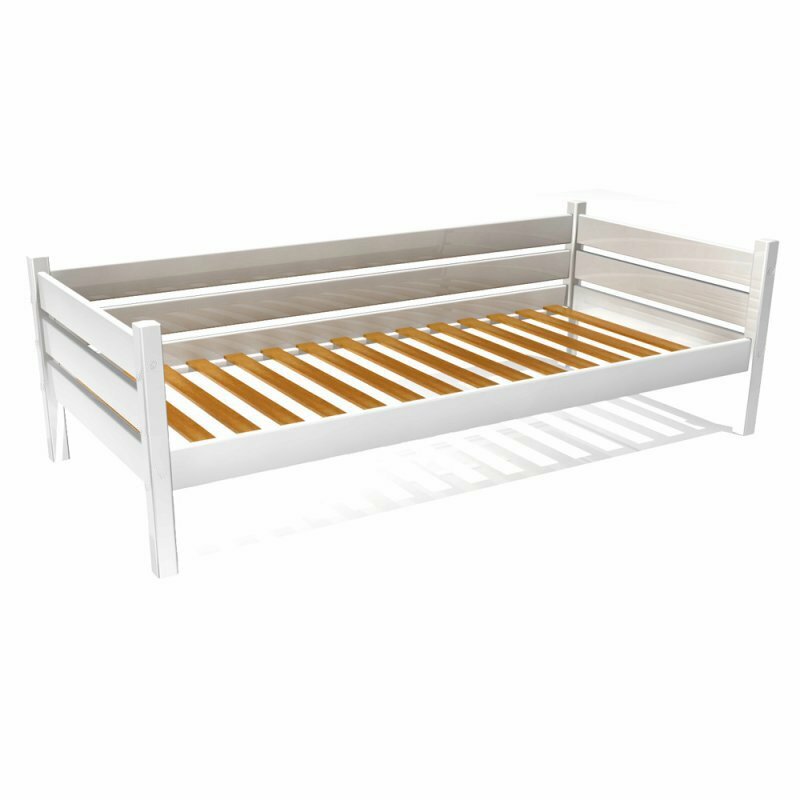 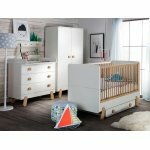 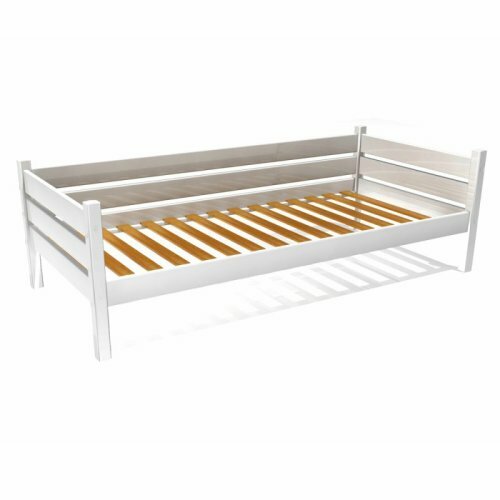 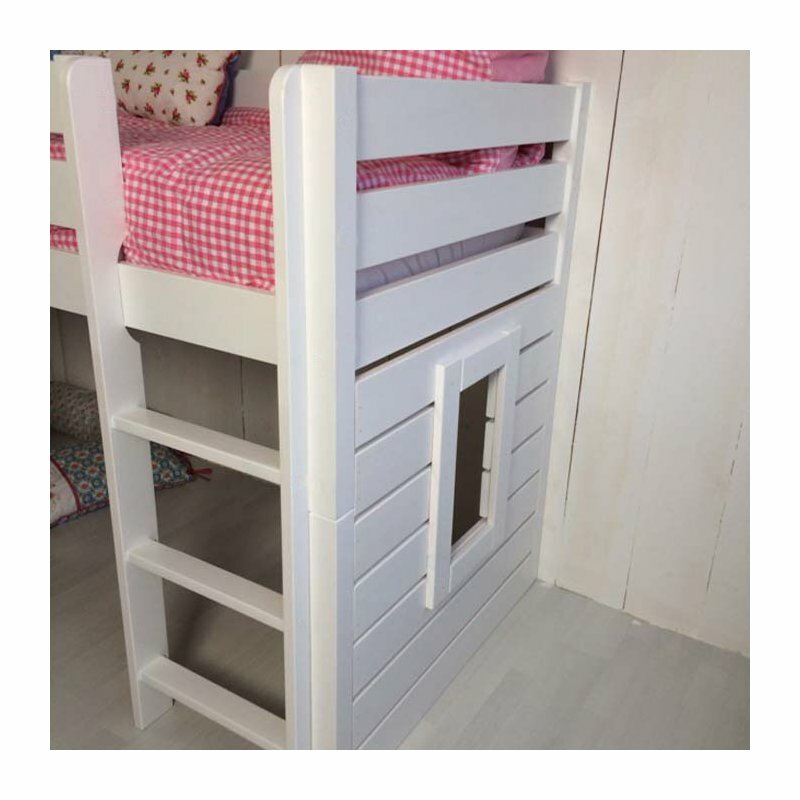 Completely in white painted bunk bed BEACH is made of wood MDF and with its three fins covers offers a beautiful view protection to build a cozy den under the bed. 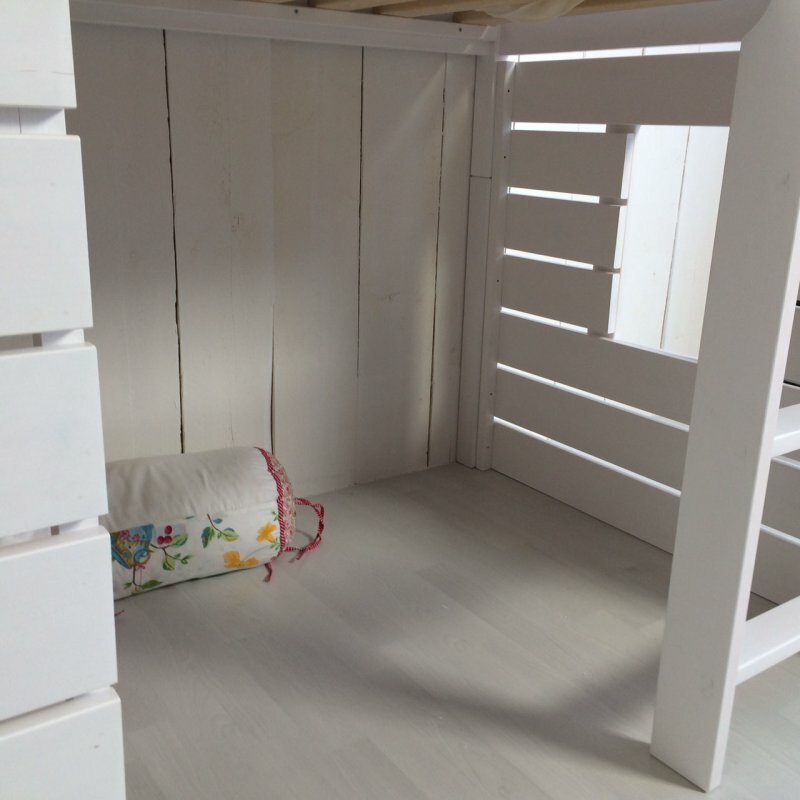 The paints used for the bed of course, comply with European standard (EN 71-3). 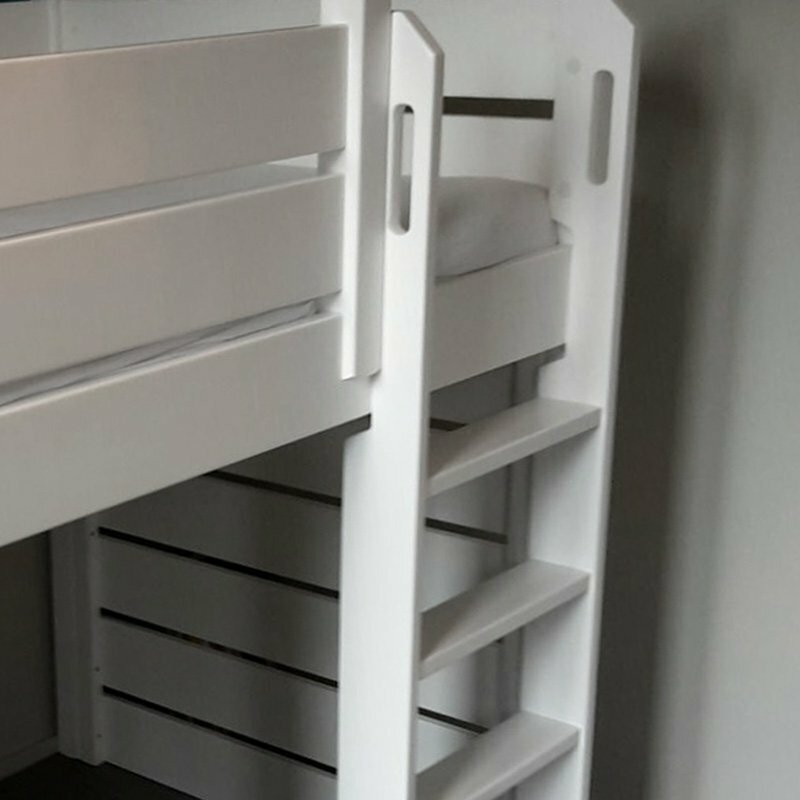 Thanks to the modular design, the loft bed can be adapted and remodeled BEACH quickly and easily. 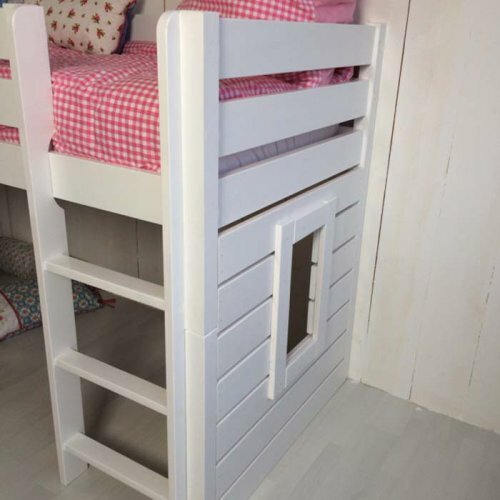 If your offspring do not feel like to sleep in a bunk bed, this can quickly and easily be converted into a normal single bed, this only the extensions of the bedpost, the manager and the front failure protection be removed. A matching slatted will be provided equal. 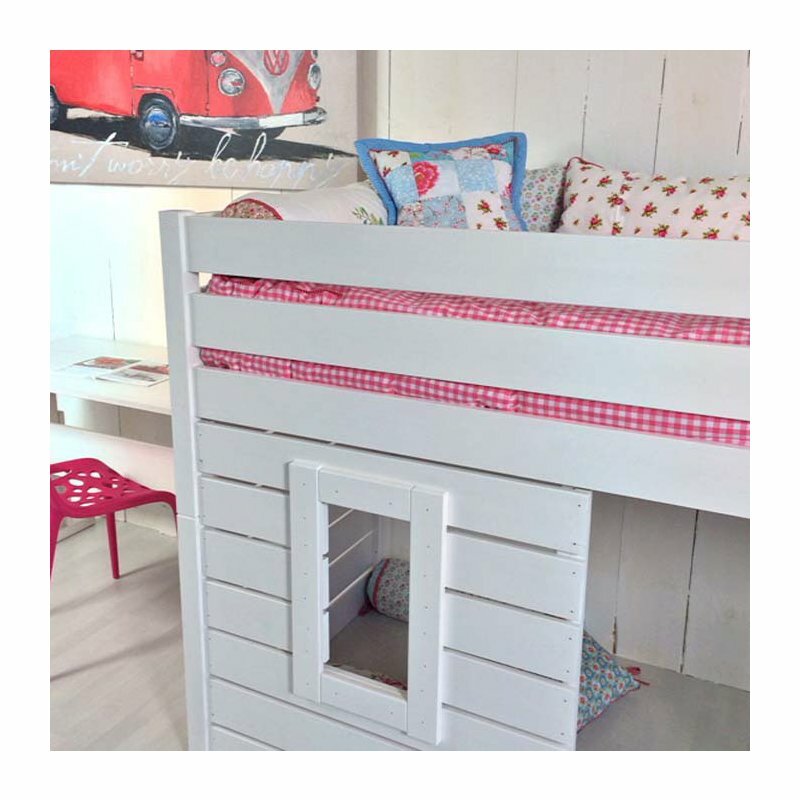 A mattress and the decoration is not included, but can be found here in our Shop sure the appropriate mattress in dimension 90x200cm. 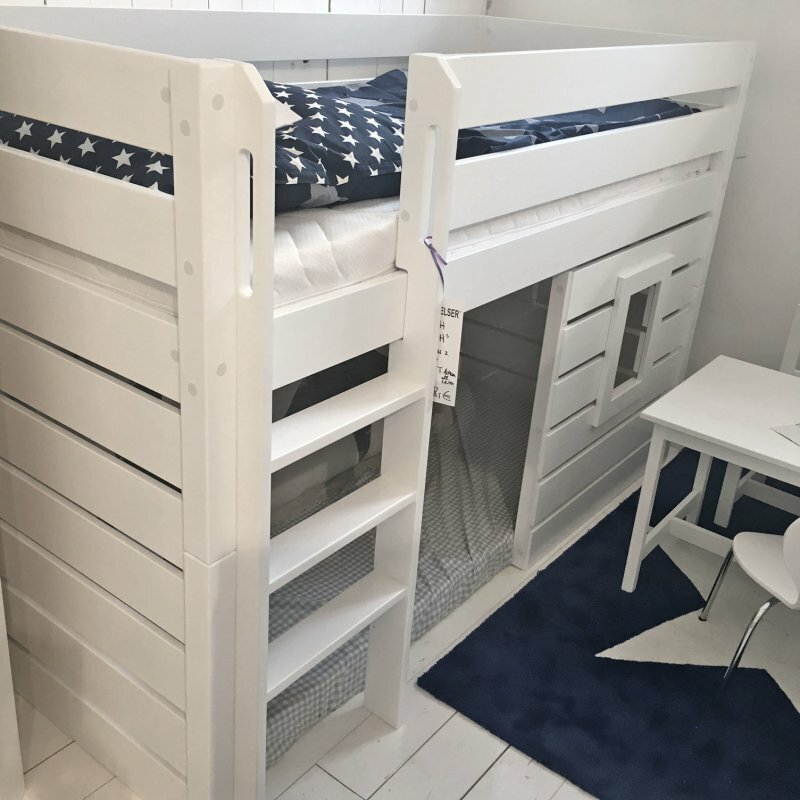 The text and the pictures are copyrighted - cabin bed - loft bed BEACH.